If you’re not familiar with the “magenta line”, one trip down the Intracoastal Waterway will educate you. This magenta (yes, it’s actually red) line is charted on navigational charts to indicate the recommended best route. Along the Intracoastal Waterway mariners adhere to the magenta line, following it closely with use of their GPS, because this recommended route has guided boats through the ever shoaling canals and rivers for a century. While Brian and I do pay attention to recommended routes, we have difficulty adhering to the magenta line. Have you ever tried sailing in a straight line? (Ok, maybe on a nice reach but good luck finding that course across a sound!) Bear in mind that the magenta line on the chart does not get updated year to year. While navigational aids on the physical route are monitored and re-positioned accordingly thanks to the United States Coast Guard. Last year during our Intracoastal Waterway journey we were cautioned by guidebooks and mariners alike to, “Stay on the magenta line.” We were later scolded by our fellow mariners after we’d sailed off the line right around the parade of boats. It was a beautiful sail and finally peaceful after days of chugging along under engine power! This year we continue to be rebellious; sailing whenever possible to catch a break from the engine and cutting corners wherever there is ample depth for Rode Trip. We use our charts and the corresponding navigational aids to navigate. Off the line we’ve had no foul-ups. We did, however, run aground at least twice last year while staying the recommended route through canals. But magenta line or not you can never be entirely certain when that shifty bottom may rise to meet the keel. I recently found an article in Ocean Navigator: Safety Concerns Could Spell End for ‘Magenta Line’ explaining why mariners should not adhere to the magenta line. In many locations the charted line is no longer accurate due to shifting shoals, relocated navigational aids, and other obstructions. NOAA’s Office of Coast Survey is in the process of removing the magenta line from its charts. Could this be the end of the recommended route on future charts? NOAA is asking for mariners response; see article. This entry was posted in Uncategorized and tagged ICW recommended course, Intracoastal waterway, Intracoastal Waterway recommended course, magenta line, navigational aids, NOAA, Ocean Navigator, Office of Coast Survey, recommended course, shoaling, USCG by stephanie. Bookmark the permalink. 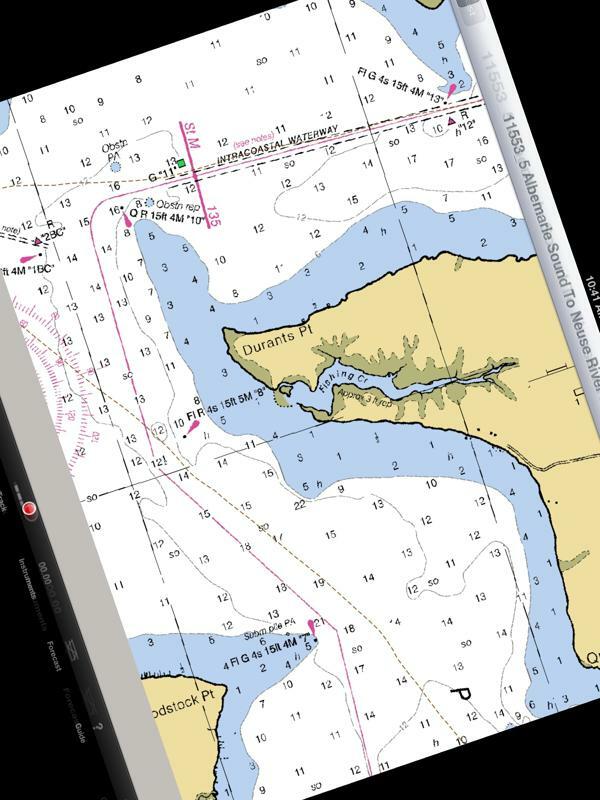 When we came up the ICW in the spring, every morning we’d look at Active Captain on the iPad and note on our paper charts spots where people had run into shoaling, etc. and would diverge from magenta accordingly. Kept us from running into trouble! So there are robots everywhere.